And finally, Siyasiya Village in Salima District. 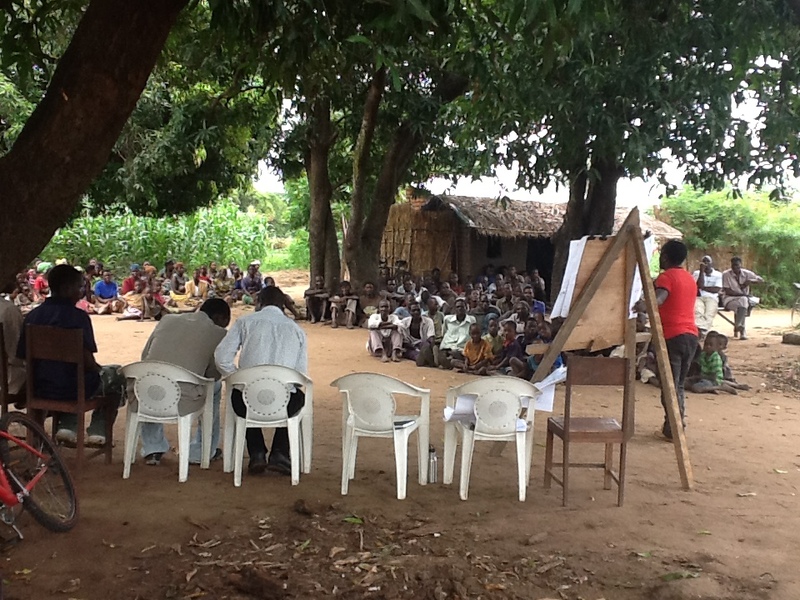 Yesterday we met the last group of irrigation farmers to be trained in 2013. Last but not least, this particular irrigation site is promising for the farmers and exciting for the AWP team. First, just look at the turnout for the orientation meeting. The village was aware that only 15 farmers would be participating this year, but that did not seem to matter to the 60 or so others who showed up anyway. The irrigation club was formed out of the Ministry Team of the local churches. The Ministry Team itself is a joint initiative of the churches and World Relief. In Salima district, World Relief has helped establish more than 20 similar ministry teams. The AWP team knows how important good organization is for the success of community development projects, but having that organization as an extension of the local churches is more than we could have asked for, a true blessing. The entire community have embraced the project and seem keen on diving into irrigation. We hope to deliver more than their expectations, a true blessing in return.